LABATT GET IN THE GAME is for the adult who has never played hockey before. It combines on ice skills sessions with instructional game time. The program is co-ed, non-checking, for people over 18 years of age, and is set in an insanely positive, judgement free atmosphere. 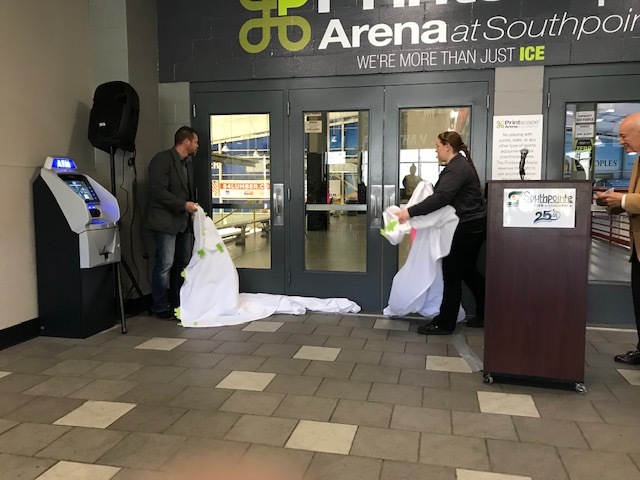 No ice skating or hockey experience is required in order to participate. ​Over the course of the program, participants will learn the fundamental skills of ice hockey, including how to skate if they’ve never skated before, make new friends, and learn the greatest game on Earth. On the final week, participants graduate by playing in their first organized hockey game. Friends and family are encouraged to attend as the new hockey players graduate into the world of hockey. GET IN THE GAME Program jersey. No Equipment? We’ve got you covered! Never Played? It’s NEVER too late! Never Skated? It’s NEVER too late! 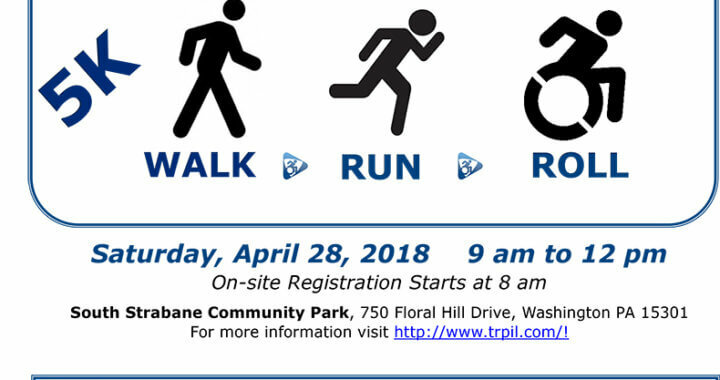 Please join us at South Strabane Community Park, 750 Floral Hill Drive, Washington, for the fourth annual Transitional Paths to Independent Living (TRPIL) Capital Campaign SK Walk * Run * Roll on Saturday, April 27th, 2019. We are holding this event to help fund the TRPIL Capital Campaign’s effort to renovate the former YWCA building at 42 West Maiden Street, Washington, into our brand new, universally accessible headquarters and community center. Registration will start at 8 AM; the event will begin at 9 AM. Pre-registration is $25 per person; registration at the event is $30. If you would like to volunteer, please register by clicking HERE. 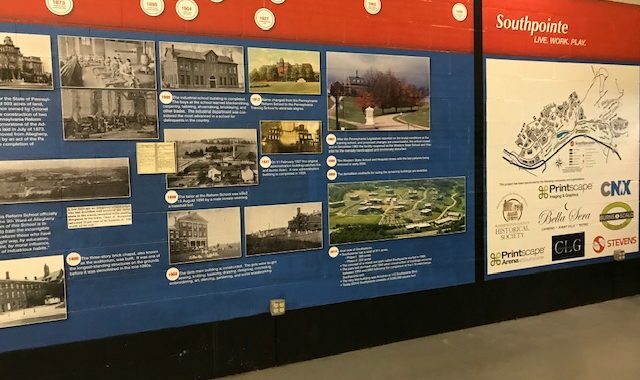 Sponsorship signage at the main pavilion, water/rest stations, and distance marker signs along the SK fun run’s course is available. To sponsor our event, download THIS FORM and mail it to us. The sponsorship deadline is April 2nd, 2019. 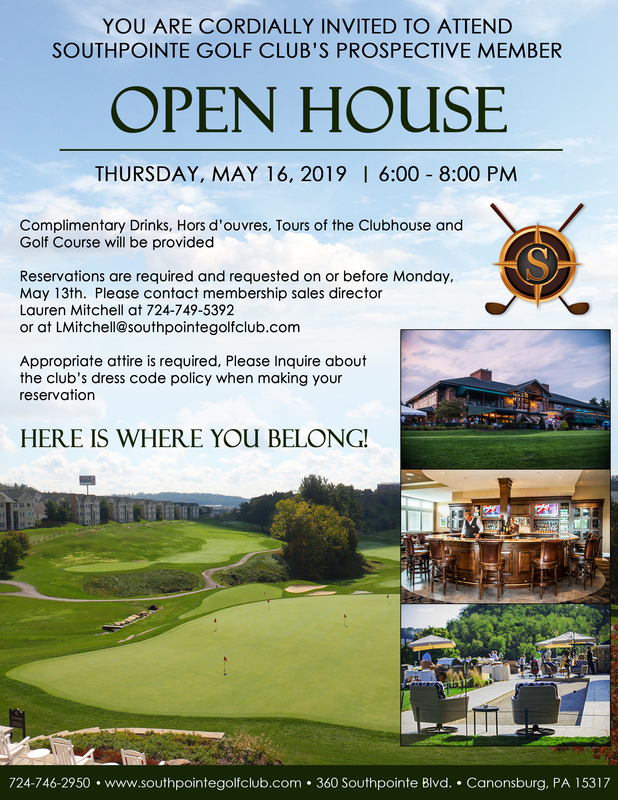 Contact Joann Naser at 724-223-5115 with any questions or comments. One of Washington County’s favorite fall traditions is back as Allegheny Health Network’s Canonsburg Hospital hosts its annual Halloween Trail. 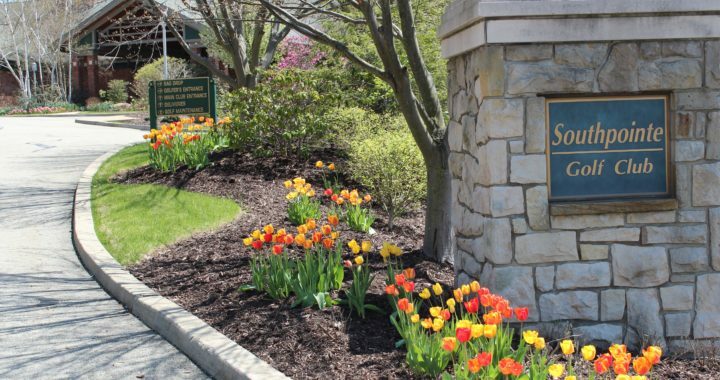 This year’s event is scheduled for Thursday, October 25 from 4 to 5:30 p.m. at the hospital’s outdoor trail. Children ages 12 and under are invited to don their favorite costumes and trick or treat along the trail. 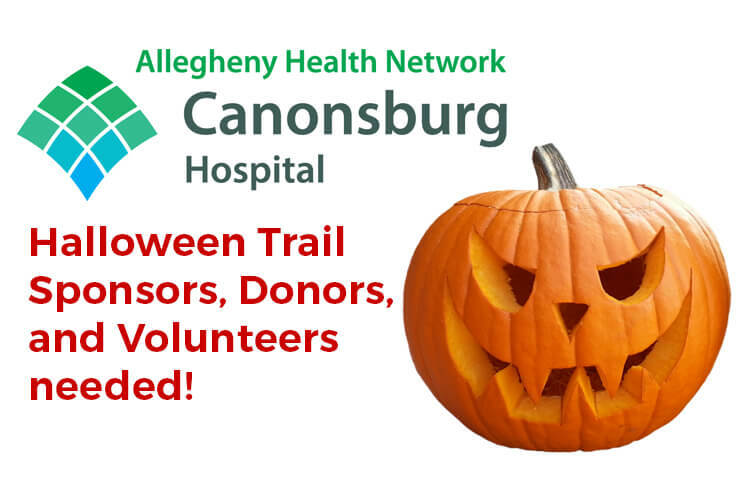 With more than 20 stops along the way, the kids will encounter “haunted hosts” from Canonsburg Hospital, as well as representatives from local businesses and the United States military, who will be distributing treats while decked out in some well-known Halloween costumes. The event is free, and complimentary parking is available. Treats, bags, and candy will be provided, and AHN also will be giving away fidget spinners. 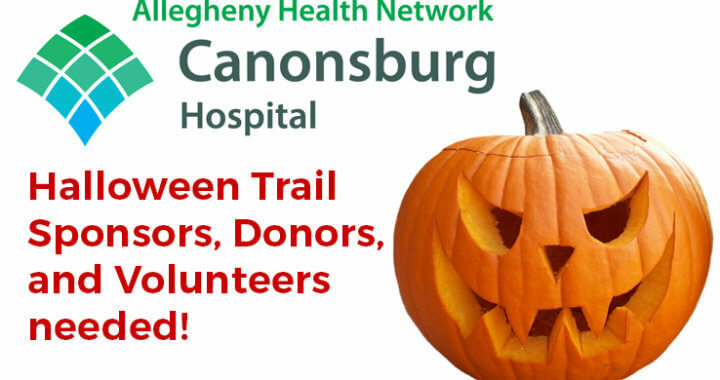 In the event of inclement weather, the Halloween Trail will be held indoors at Canonsburg Hospital. The hospital is looking for corporations to sponsor and host stations on the trail. *Hosting a station includes: decorating the station, providing staff, costumes and giveaways* Donations of costumes, candy, decorations, etc can be mailed to the address below or arranged to be picked up. The Pittsburgh Chinese Cultural Festival celebrates the rich culture of China, past and present, through entertainment, music, art, food and exhibits. 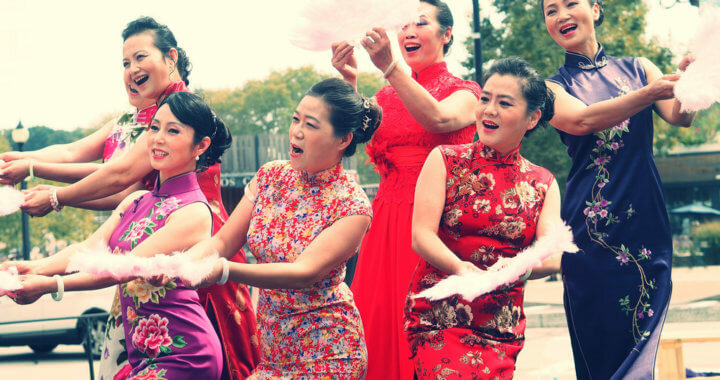 This fun filled day includes: local performances, renowned UNESCO Masters of Arts & Crafts from Wuhan, China, food from Pittsburgh’s BEST Chinese Restaurants and exhibits of handcrafted items, information and much more! 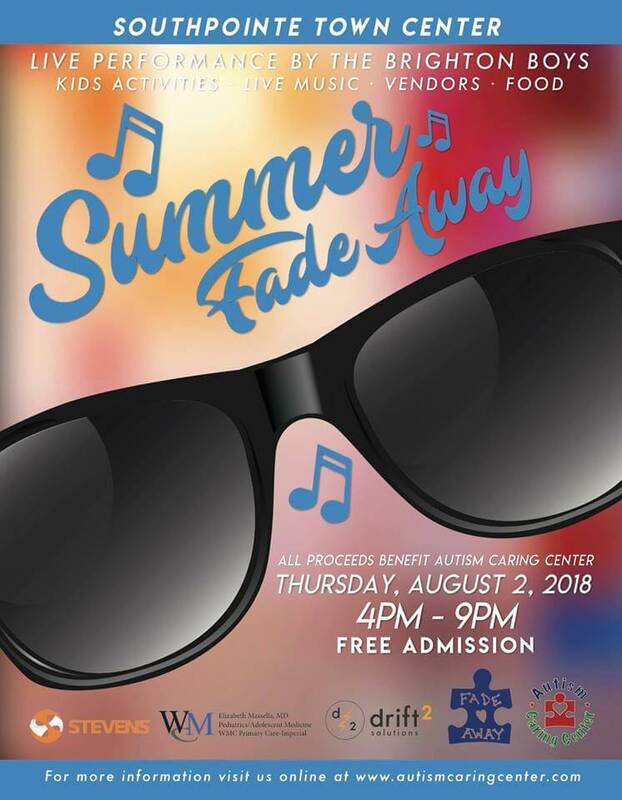 Hosted by the Pittsburgh Chinese Cultural Center, a non-profit organization that promotes the awareness of Chinese culture, appreciation of cultural diversity and facilitates assimilation of Chinese immigrants into the Pittsburgh community. 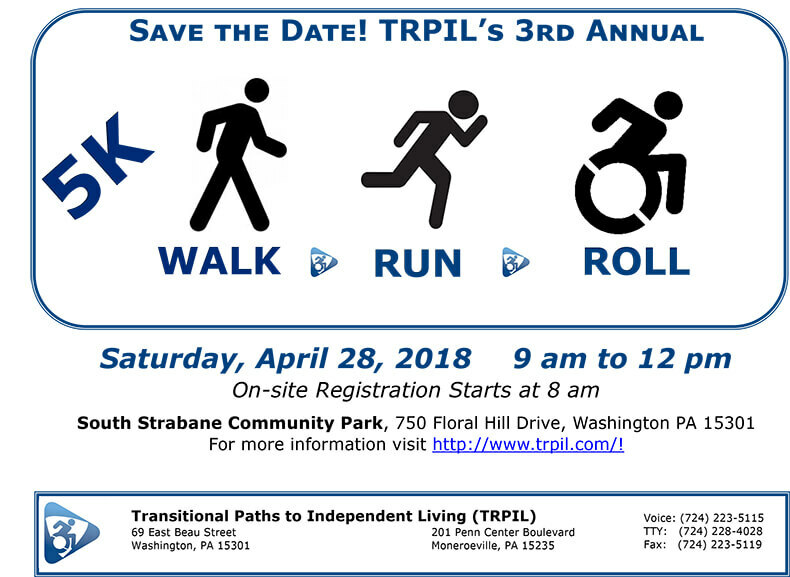 Please join us at South Strabane Community Park, 750 Floral Hill Drive, Washington, for the third annual Transitional Paths to Independent Living (TRPIL) Capital Campaign SK Walk * Run * Roll on Saturday, April 28th, 2018. Registration will start at 8 AM; the event will begin at 9 AM. 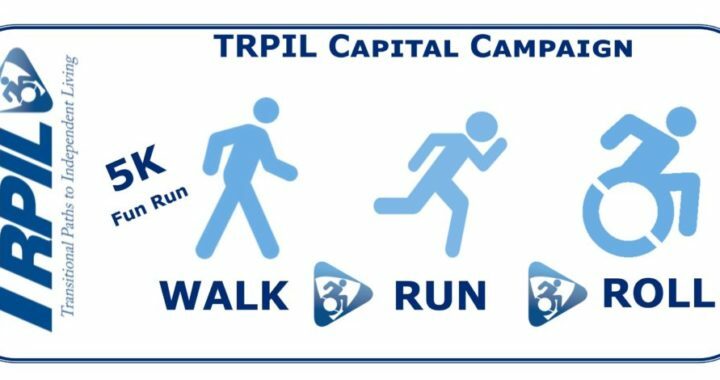 We are holding this event to help fund the TRPIL Capital Campaign's effort to renovate the former YWCA building at 42 West Maiden Street, Washington, into TRPIL's brand new headquarters. 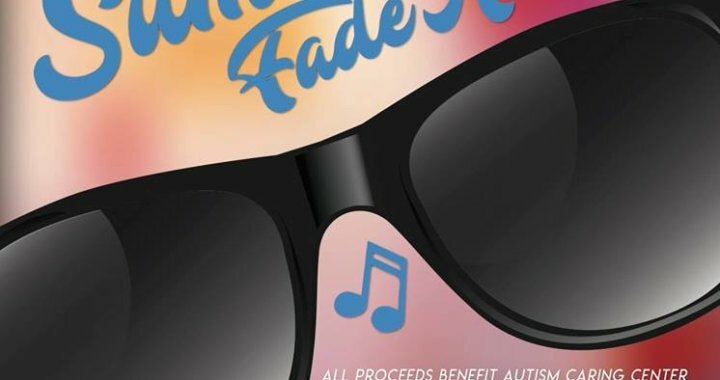 All of the proceeds will go towards this cause and help us to construct a brand new, universally accessible headquarters and community center in downtown Washington. Soon we will be finished with Phase 1 of this reconstruction, and we'll be able to move in! From there we will begin Phase 2: the restoration of the historic stage and auditorium, which will become available for public use. 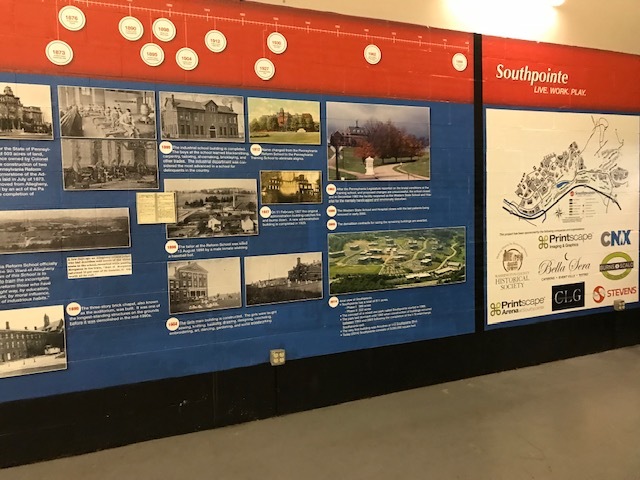 Sponsorship signage at the main pavilion, water/rest stations, and distance marker signs along the SK fun run's course is available. The sponsorship deadline is March 31, 2018. Please make all donations and sponsorships payable to TRPIL. For sponsorship opportunities for this event you may contact Joann Naser (jnaser@tripil.com) at 724-223-5115. 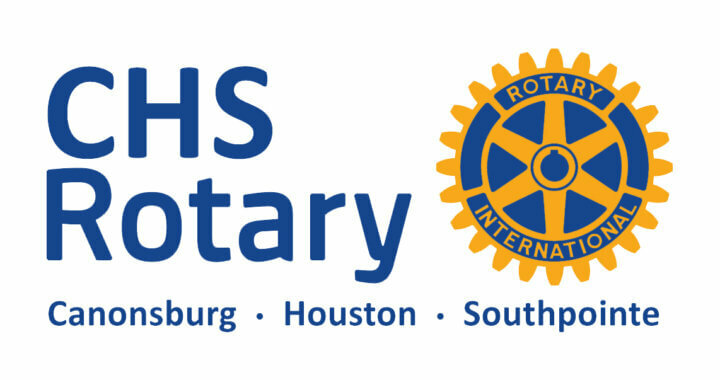 The Canonsburg Houston Southpointe Rotary Club meets every Wednesday 5:30PM to 6:30PM at the Southpointe Network Center in the lobby of the Printscape Arena, 117 Southpointe Blvd. (Formerly Iceoplex). Just a few of our events include the fund raiser Roast of Judge Ret. 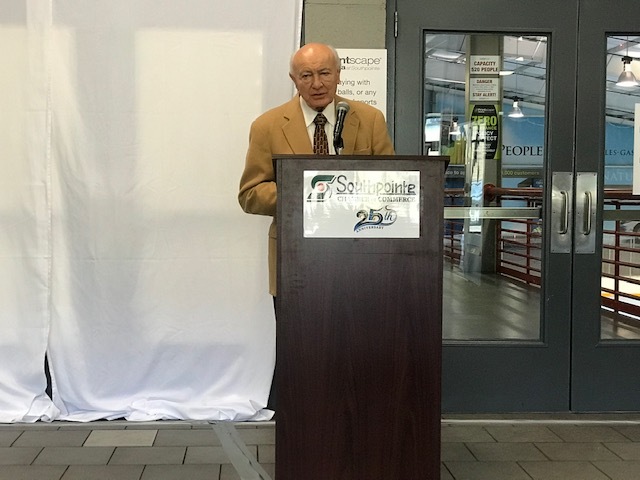 Richard Disalle, Cannon House visit to elderly with games and fellowship, pie fund raiser, and more. 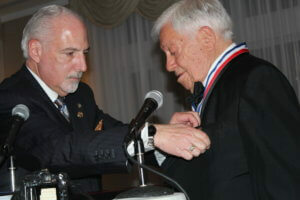 Rich Disalle receiving an award from Gov. Steve Arnowitz For more info contact D MacTaggart at 724-263-9238.